← Message App – Templates. 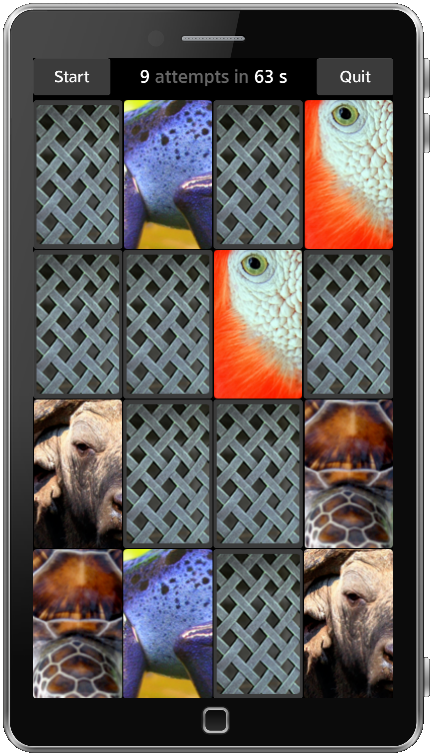 The App is called Econcentration and it is a memory game. Although the App is already coded and working, I had to make some modifications to make it look better in the small device’s screen, like changing the images and the layout of the game. I will not explain the code in this post because I’m explaining how to run the game in the phone and not how to write EFL based programs. But you can take a look at the source code. To generate the deb package to the device we will have to modify our sbs commands, because the phone is ARM based and not x86. But it’s basically the same thing. Posted in EFL, Native Apps, ProFusion. Bookmark the permalink. Great 🙂 Here is the Korean translation. Thanks! Is there any workaround to bypass the package installation? My guess is that the server IP has changed after I installed the sbs from the first time. Package libecore1 is not installed. Package libelementary is not installed. Package libevas1 is not installed. Is it possible to write native apps in other languages, than C like, Go or C++? If you install everything you need, yes. Let’s say that you want to write programs in Python. You must install everything manually, maybe you will need to do some hacks to be able to do this. 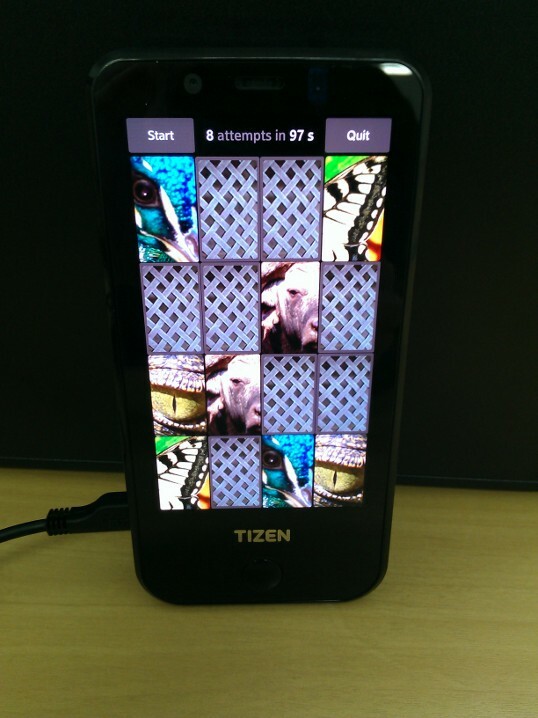 “No Tizen is moving from deb to rpm and SBS to OBS. Yeah, I’m aware of that. However currently I’m out of time to create a new tutorial. I hope that I will make a new one this mounth or by the next. thanks for reading and for your commnent!